Welcome to Texans Archery Club! 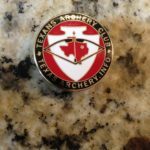 You may have received a “Temporary Membership Card” this entitles the applicant to use the Texas Archery Academy (Plano) range only until they are approved for membership, payment is collected, and permanent membership card is received. New membership materials are available for pick up at the Academy front desk within a week. New members (paid application fee) pick up your free club hat at the front counter! You will need your permanent membership card for after-hours Shooters Clubs and Academy access. Outdoor ranges may have combination locks on gates. You are required to wear your membership card while on any of the ranges, and sign in. After watching the Safety Video above, please review the website for RANGES you are interested in. Depending on your level of membership and expertise, you may have limited access to some ranges. Blue membership cards are limited to outdoor ranges. 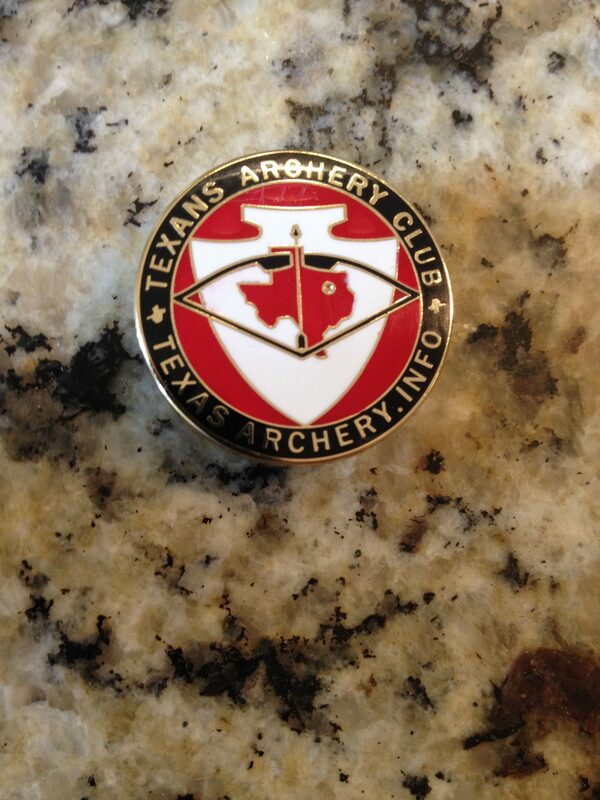 To gain access (codes) to outdoor ranges submit a picture of your current membership card to Clint@TexasArchery.info. Please specify the range(s) you are interested in. The permanent card you receive, already has the security fob attached for use at Shooters Club(s) and the Academy to gain access (this eliminates the need to sign in). Safety is our main concern. Read the range rules (also posted at each facility), hours of operation and layout. Every new member is invited to book a discounted private lesson at the front counter (an hour for $25, for up to 2 people). The goal is to gain range certification for the beginner. 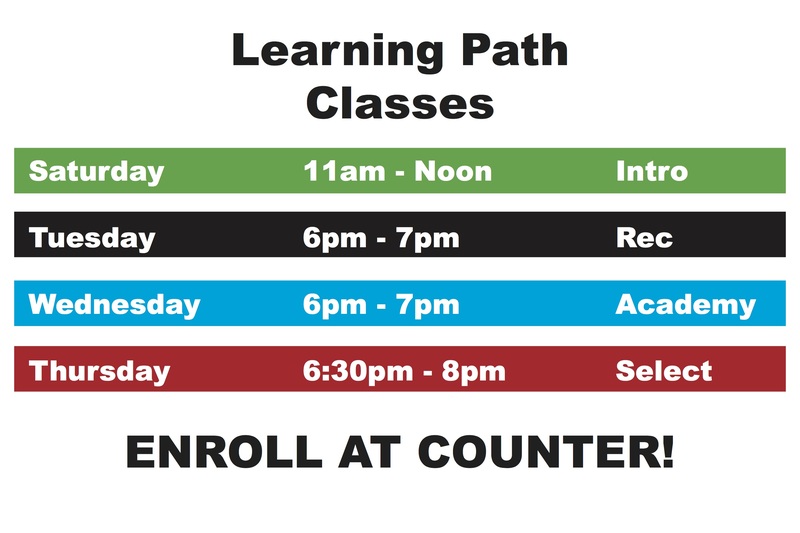 We also invite you to explore our Learning Path options and start our e-learning rank advancement program Archers Quest. Loaner equipment is available at the Academy at no charge. Take advantage of our newest growth, SHOOTERS CLUBS. Offering Red, Orange and Green membership levels 24hr access to shoot as your schedule allows. Already included in your membership, no extra charge. These are unstaffed, member maintained small indoor ranges. If you like them, help us find funding to put in a network of them around Texas – so generations to come will have permanent archery infrastructure! No guests are allowed in Shooters Clubs, Members only please. Family or Parent&Youth membership is required for minor access, must be with parent. Use your own equipment, field/target points only. No crossbows or broad heads. No pets. Please leave it the way you want to find it. No unauthorized Instructors/persons may give lessons at any Texans Archery Club facility. Friendly advice between members is acceptable as long as not an obvious lesson or where monies are collected. Texas Archery Academy (TXAA) is the community outreach of Texans Archery Club, we welcome archery Instructors that would like to provide individual archery lessons, participate in the TXAA Learning Path classes, or conduct archery events. TXAA enables Instructors by providing facilities, equipment and marketing. Our Instructor Agreement covers authorization to teach at our facilities. Club History starts in the 1960’s as an employee club at Texas Instruments. “Texins Archery Club” used TI provided land for a range off Restland near the main campus for many years. TI resolved to shed the employee clubs in the 1990’s which eventually meant losing the range land and creating a new entity, Texans Archery Club (TAC). In 2011, the club realized the need for a consistent teaching environment and more convenient public access to archery. 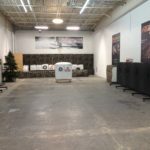 An indoor range and non-profit school, Archery Academy of Texas, d/b/a Texas Archery Academy (TXAA), a new 501(c)(3) was created. TAC merged into TXAA. The management of the affairs of this non-profit corporation is vested in its Board of Directors. The dues-paying members of Texans Archery Club are classified as non-voting members with no right of participation in the governance of the non-profit corporation. This community outreach has caused the club growth and influence, resulting in the creation of additional ranges and affiliations throughout the state. To simplify the confusion of the different names and multiple websites, we have adopted TexasArchery.info as a state wide marketing campaign to promote Archery. 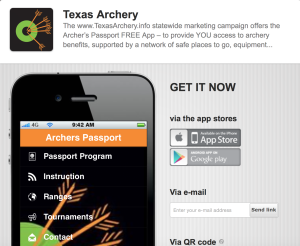 Additionally, we developed a free App as a public guide on archery resources in Texas (download). Membership now enjoys a network of ranges around the state, and discount for public access to other affiliated clubs, municipal ranges, and pro shops… sponsored by TexasArchery.info. Our goal is to help support the development of archery infrastructure throughout the state. You have joined the largest archery club in Texas. We are a non profit CLUB. As a member, you are expected to pitch in (this is not a retail business, like buying a ticket to a movie). Every member must watch out for safety, develop fundamental archery knowledge, help others obey range rules, and contribute an hour of community service. We do allow the public limited access to some of our ranges – if YOU see something wrong, find the Range Officer on duty or act! Good ideas are always invited. If you see a problem, offer a solution. We ask you to SHARE your passion for archery. Invite a guest to shoot. Recruit another member each year! Participate in leagues and the Learning Path. Volunteer for events. Participate in club shoots. Please join us the last Sunday of each month for our TAIL shoots. In September, we have our annual capital drive – chip in on North Texas Giving Day or participate in our “Shoot for $’s” event – all goes towards our On Target Fund. 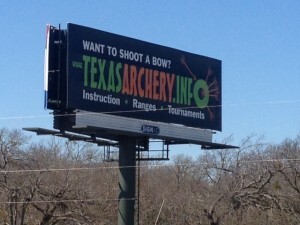 What can you do to help grow archery in Texas? Please make sure you are getting club communications to be in the know about operating hours or lock code changes, league and tournaments, club hunts, etc. For current happenings, we also have two Facebook pages displayed on the Home page of our website. Your first goal is to earn Range Certification – achieve 5 of 6 arrows in 12″ target at 10 yards. This ensures everyone’s safety. To increase in distance, please test yourself in this same manner. If you are bouncing arrows off anything else than a target, our range officers or another member will ask you to move closer or to another range. Can you Range Certify? Earn a club logo sticker or TexasArchery.info Koozie! 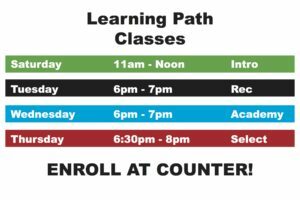 Take advantage of our Learning Path and Fundamentals classes, private lessons, and seminars to help with your archery education.. As you progress, challenge yourself with our self-paced Archers Quest rank advancement program. BOWMAN rank may checkout a loaner bow and 6 arrows temporarily for use outside. Next participate in our monthly TAIL competitions (last Sunday each month, $15) – TAIL is also an official shoot to earn USA Archery “Star Pins” by scores achieved (after first 3 pins, you need to be enrolled in USA Archery youth (JOAD) or adult (AAA) programs). Everyone shoots 10 ends of 3 arrows from 18 meters. One award level may be earned per competition, and only once. Achieve 250 points at 18 meters and you receive a Texans Archery Club Cap for free! 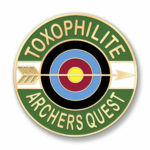 Complete the rank of TOXOPHILITE, you earn a FREE Texans Archery Club Adult membership for next year! Texans Archery Club also awards special recognition to those “stand out” ambassador members that make individual contribution to the success of the club!